After skiing the same ski area for a huge number of days during the ski season, one looks for an occasional change of scenery. 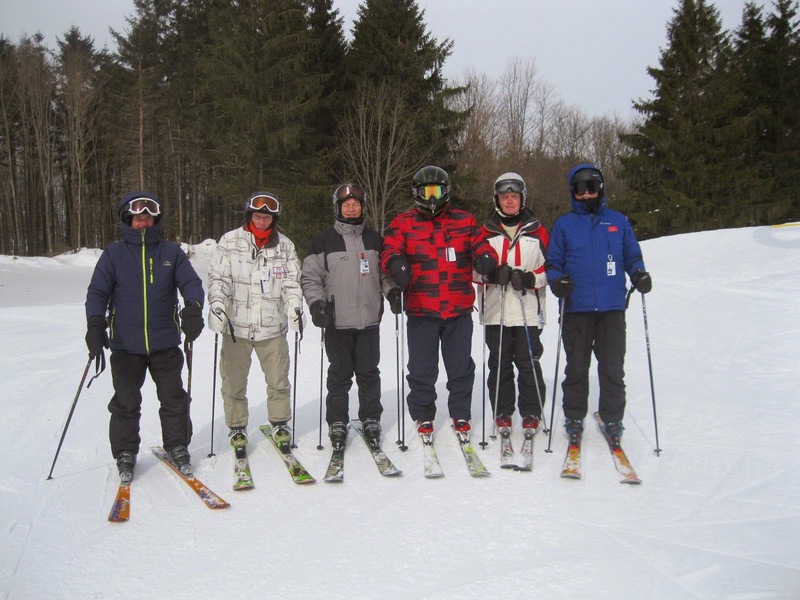 For our geezer group, a trip to Toggenburg Mountain in Fabius, New York has become a diversion and even maybe now a tradition. All of the geezer group of our local area is invited and our expedition numbers can vary from four to ten skiers. Today six of us made the journey. The drill usually consists of some of us sharing rides, and others coming from diverse locations journeying alone. We will arrive near the appointed lift opening hour. Today we were surprised to find the lifts were to open an hour later than usual. We cooled our heels (and warmed our boots) for an hour with coffee and homemade donuts. Although we have skied Toggenburg several times before, we spent the first hour or so exploring vaguely remembered trails. The early morning 10 F temperature encouraged our coffee break after a multiple of runs. Due to the late start, our gourmet lunch at the Foggy Goggle Restaurant was delayed to after 1:00 PM. We were very appreciative of the warm welcome by the restaurant manager and dined with zestful glee on burgers and paninis served with delicious home made french fries. Sure beats McDonalds! Ski conditions were superb and for the geezers you can beat the price of free lift tickets! The warmth of the welcome of the Toggenburg folks sends us home with a glow of appreciation and anticipation of a nice nap!